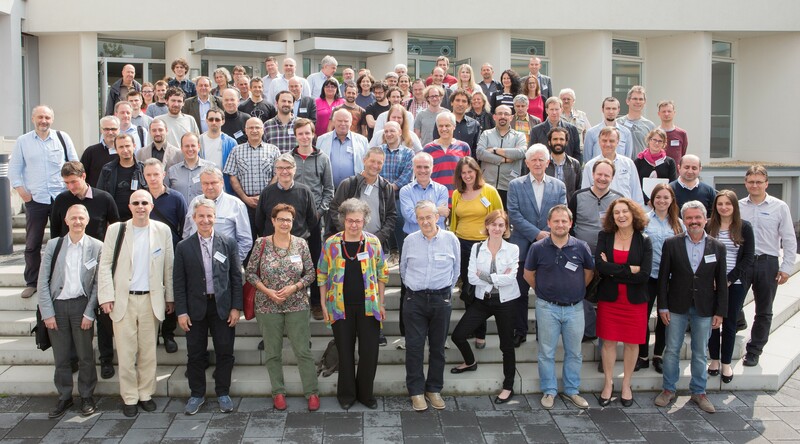 The AIDA-2020 (Advanced European Infrastructures for Detectors at Accelerators) project begins 1 May 2015 and will run for 4 years. AIDA-2020 (Advanced European Infrastructures for Detectors at Accelerators) is co-funded by the European Commission within the Horizon 2020 Research Infrastructures call. For questions or further information on the AIDA-2020 First annual meeting please contact the Local Organizing Committee. 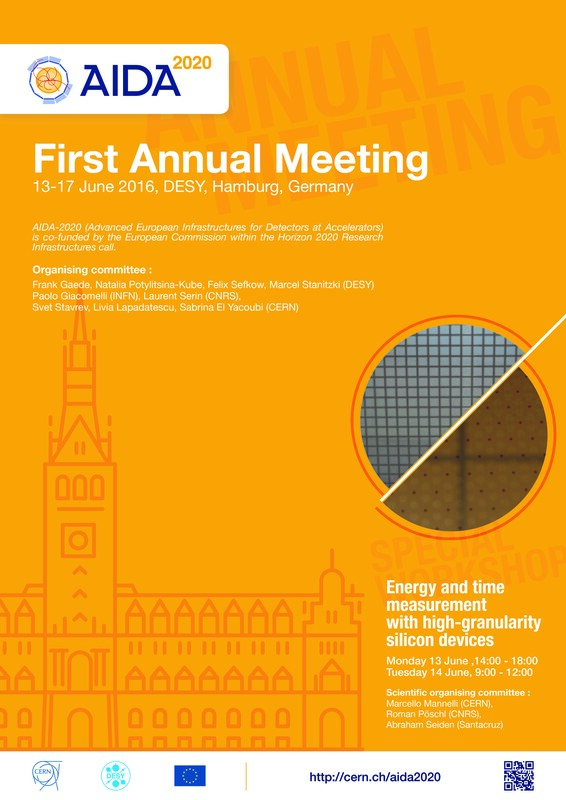 On the day before the AIDA-2020 First Annual meeting a special workshop "Energy and time measurement with High Granularity Silicon Devices" is held. The workshop takes place from 13.06.2016 till 14.06.2016 in the DESY main Auditorium. Please be aware that you need to be registered to the workshop separately.